Now is your chance to save thousands on select quick move-in homes! SACRAMENTO, Calif. - Nov. 6, 2018 - PRLog -- Now is your chance to spend the year-end holidays in the home of your dreams. With incredible savings offered on select quick move-in homes across Greater Sacramento, it's the perfect time to make your move. "This time of year is a great opportunity for home shoppers to save thousands on their new home," said Michelle Velky, Vice President of Sales and Marketing for Lennar Sacramento. "We have an amazing selection of quick move-in homes at several popular communities for home shoppers who act fast." With 45 active communities across the Greater Sacramento area, Lennar offers options for every family type. From first-time homebuyer, to move-up, luxury, golf course lifestyle, active adult options and more – home shoppers will find incredible value and a variety of options at Lennar Sacramento communities. Every new Lennar home comes with added value through the homebuilder's signature Everything's Included® program. Each home comes complete with high-end features and upgrades, such as solar, stainless steel appliances, granite or quartz countertops, integrated home automation and more – all at no additional cost. Lennar is also the first new homebuilder to offer Wi-Fi CERTIFIED™ home designs. Each new Lennar home incorporates wireless access points that are mapped out and built into the home during construction. The result is strong, consistent internet connection in every room. No more dead spots! 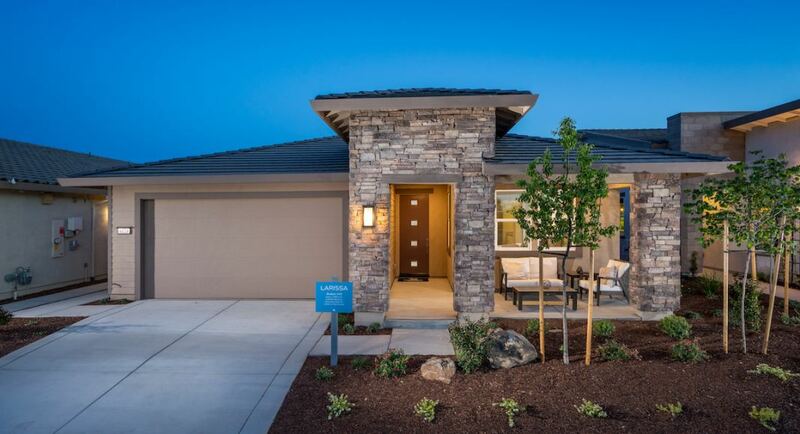 Lennar Sacramento also introduced their Thoughtful Design® program at all of their Heritage communities, which incorporates design details meant specifically to accommodate the changing lifestyle needs of active adults 55+. Home shoppers will also find Next Gen® home design options at most communities, perfect for multigenerational family needs. Discover new Lennar communities that are now selling in the cities of Elk Grove, Folsom, Roseville, Rancho Cordova, El Dorado Hills, Rocklin, Lincoln, Woodland and Sacramento. To start your search, visit www.lennar.com/sacramento today.